Print out our Seasonal Produce Guide and use it for shopping and meal planning. We’ve linked our recipes to fruits and vegetables in the chart below. 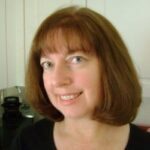 Eating seasonally is easier than you think! Look for farmer’s markets and produce stands. Grocery stores label or will tell you where their produce is sourced and fruits and vegetables are often on sale when they’re abundant. Simply knowing what is in season will help you make better selections. Eating seasonally simply means taking advantage of the harvest schedule and incorporating fruits and vegetables in your diet and meal planning when produce is at its peak. Eating locally means enjoying produce that doesn’t have to travel very far. Both elements allow consumption as close to harvest as possible so the ingredients are fresher, taste better and retain their nutritional value. It will save you money too! When are Fruits and Vegetables in Season? 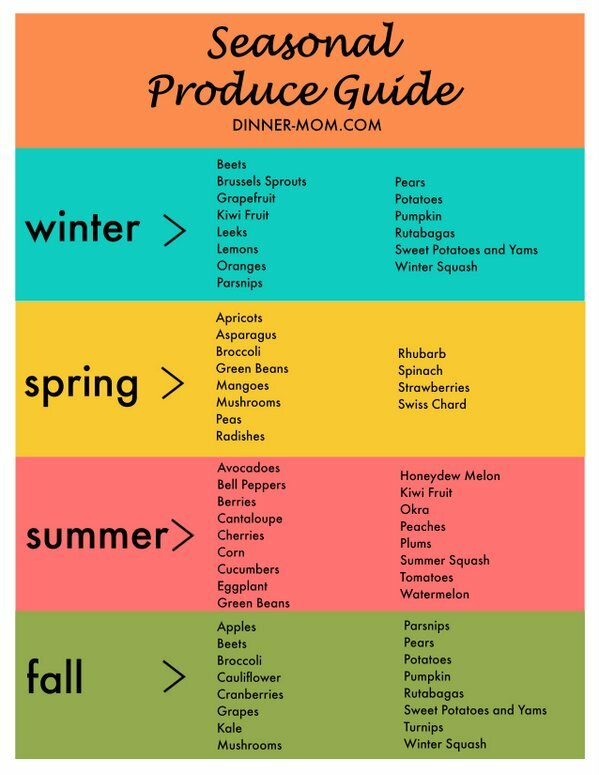 In order to make great choices and meal plans you need to know what’s in season! We’ve created a cheat sheet which show the time of year commonly used fruits and vegetables are at their peak. These are general guidelines! Of course, it varies by region. For example, here in Florida strawberries flood the market around February. In California, strawberries are more readily available in Spring. What fruits and vegetables are available year round? For many areas of the country, common fruits and vegetables are available year round. They are just may not be sourced locally. We left bananas, onions, carrots, celery and lettuce off the printable template. What vegetables and fruits are in season in winter? What fruits and vegetables are in season in spring? What fruits and vegetables are in season in summer? What fruits and vegetables are in season in fall?